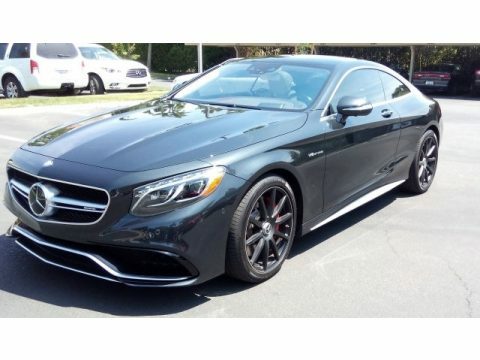 2016 Mercedes-Benz AMG S63 4MATIC For Sale in Fresno, California 93720 With Black Piano Lacquer Trim, AMG red painted brake calipers, and 20" AMG 10 spoke forged wheels in black, this 2016 Mercedes Benz AMG-S63 is a real head turner. This luxury car offers many great amenities including: Driver assistance package, Head's Up Display, Distronic Plus with steering assist, Active lane assist, Active blind spot assist, CMS(Collision Mitigation System), grey Dinamica headliner and much more. Standard Options: Air Conditioning, Cruise Control, Child Seat Anchors, Power Door Locks, Power Mirrors, Power Windows, Rear Window Defroster, Air Bag, Side Curtain Airbags, Tilt/Telescope Wheel, Tinted Glass, Alloy Wheels, Power Brakes, Anti-lock Brakes, Power Seats, Power Steering, GPS, Dual Climate Control, Heated Seats Car is like new with both keys. As new, no stories. This car is a must see and drive. Call (402) 502-8385 for more information.